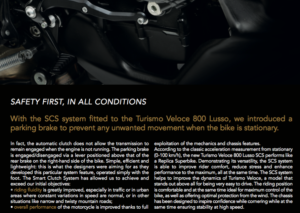 New – MV Agusta Turismo Veloce 800 Lusso ‘SCS’! 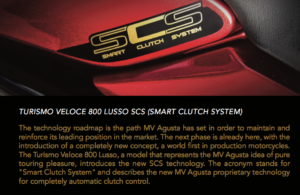 MV Agusta has released images and some details of their latest Veloce model, featuring for the first time an automatic clutch system – and not one that’s a copy of other systems already out there! 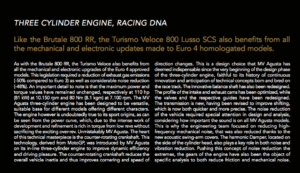 The Veloce Lusso is already a fully stacked machine technology-wise, with electronic suspension, full electronics suite and so on and so forth, mated to that wonderful inline-triple 800cc engine which we’ve dyno’d at 100bhp at the wheel. 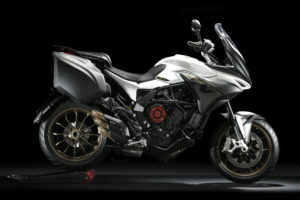 It’s more than enough for the job when allied to impressive torque and the otherworldly way MV engines seem to spin up silly fast. 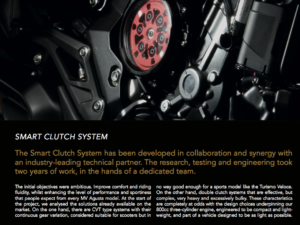 Now you have the option of an automatic clutch on the SCS (Smart Clutch System) version, a system they’ve put a great deal of work into. 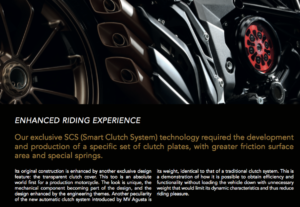 It can, apparently, get from 0-60mph in 3.2 seconds using it, but if you ever don’t fancy using it, pulling the clutch lever will work as it usually does. 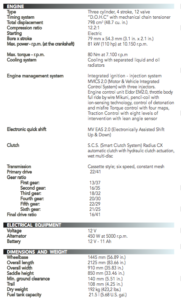 For that side of the operation, the clutch itself (as well as featuring the auto system parts) has been upgraded to next generation fare. 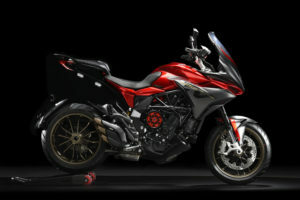 Developed in tandem with a leading industry outfit in this kind of thing, it took over two years to perfect. 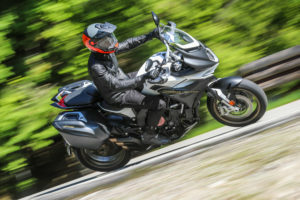 This is because systems currently being used such as CVT or double-clutch jobbies, weren’t up the the job of handling a bike which may be ragged senseless a lot of the time. 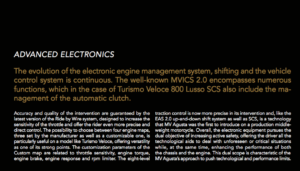 They are also very heavy, too, adding lots of weight when MV wanted to keep the Veloce nice and light. 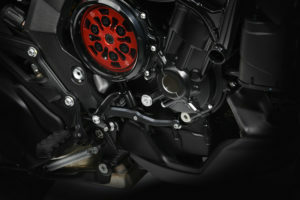 The system also needed a new kind of clutch plate creating, one capable of delivering top performance for either auto or manual use. They’re pretty chuffed with their efforts and, as such, the clutch housing is clear so you can see the fruits of their labour spinning away. 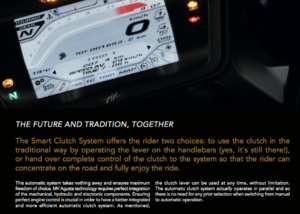 The system also sports a ‘parking brake’ for no unwanted movement when stationary. 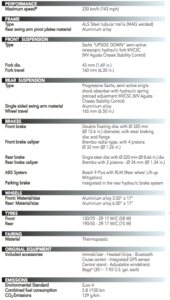 Added to all this, the model had a decent upgrade for 2018 already, with new gearbox internals and shifting mechanism, new balancer shaft, an updated electronic suite, reworked starter system and sprag clutch (tested safely up to 75,000 times! ), and other bits and bobs. 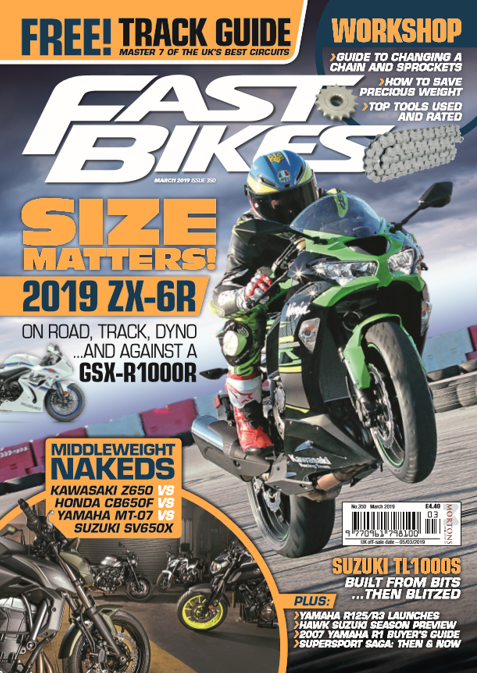 Previous Post:WSB 2018 – Jonny Rea Signs With Kawasaki For Two More Years! 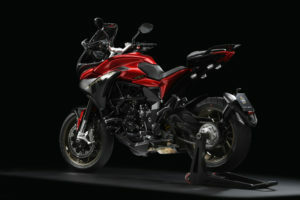 Next Post:2018 Aprilia Tuono V4 1100 Factory V Triumph Speed Triple RS – Out Now!